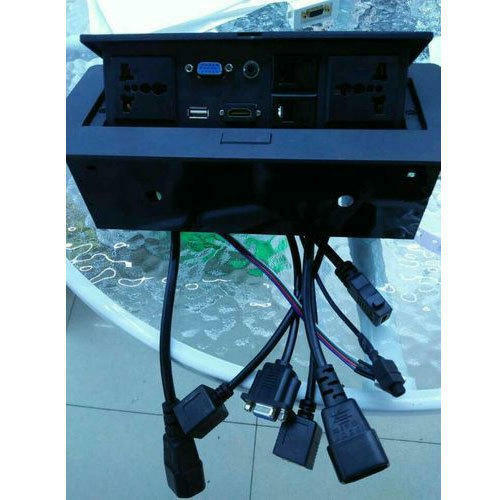 Pop Up Box Hydraulic 2 power, 2 Lan, Hdmi, Vga, Audio 3.5 mm, Usb, With small cables at back , plug and play, Easy To Install Color Black And Silver . Good Quality Good contacts. Pop Up Box Hydraulic 2 power, 2 Lan, Hdmi, Vga, Audio 3.5 mm, Usb, With small cables at back ,plug and play,Easy To Install Color Black And Silver . Good Quality Good contacts.